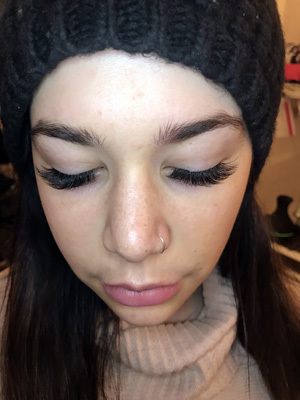 We had the pleasure to stop into Dazzling Lash Bar for a fresh set of lashes!! The owner of the salon, Helen, wasted no time in making us feel right at home in her cozy environment she had built! We also got to ask Helen some questions about her business and of course lashes!! MyTopFace: What motivated you to start Dazzling Lash Bar? Helen: Being a lash addict myself, it was a personal conquest. I like options and am a perfectionist about the outcome of lashes. I found myself hopping around different venues because results were not consistent, or they did not give me the service I wanted, or the quality was good but customer service was poor. I wasn’t satisfied with any just one place. When it comes to makeup, I am a minimalist. Whatever I can do…to do nothing. I like to wake up and go. Perfectly styled lashes can really change a woman’s appearance, give her a confidence boost and truly bring out her beauty in ways she didn’t see herself. It brings out the best. 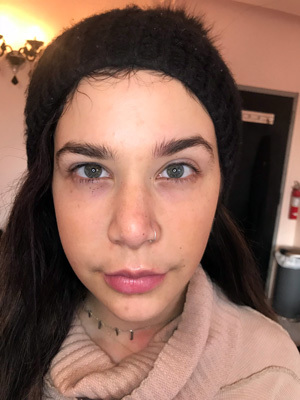 No makeup needed should she choose. Wake up in the morning and just feel great. I wanted to share my passion with the women of NYC. 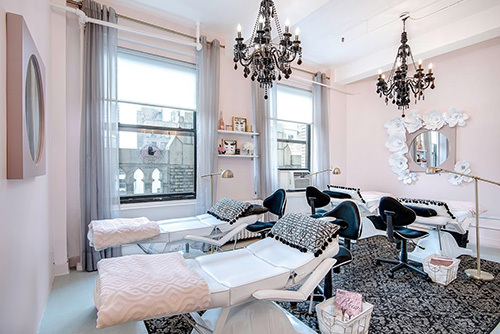 MyTopFace: Can you talk to us a bit more about what differentiates you from other Lash Bars in NYC? Helen: We are impeccably consistent and offer a multitude of lash options for the natural to the ultra glamorous. We know what looks good and feels good. We spend a lot of time educating ourselves, as well as staying on top of trends. Our menu is a curated selection of the current hottest lash choices. MyTopFace: What are the benefits of Cashmere Lashes? Helen: Cashmere lashes are incredibly light and exceptionally soft. They have a slightly oval shape versus round, which gives you the same thick dramatic look of conventional mink or silk extensions but without the weight. They are engineered with a concave contour to mold around your natural lashes, resulting in a longer retention. The tips of the lashes are faintly split as well. All these details result up to 60% lighter lash and a fluttery look. MyTopFace: What about the benefits of the Volume Lash Sets that are your signature item? Helen: My personal favorite! We use even lighter lashes for volume to build dimension. This gives us the ability to add 2-6 lashes on one natural lash without damaging your natural lashes. It makes your lashes extremely full, fluffy and voluminous. The benefits of volume lashes are two-fold. First, it gives women the option of being even more ultra-glamorous every day. Secondly, for those women who have thin sparse lashes; such as those with alopecia, cancer survivors or just women that are not blessed with thick full lashes, individual extensions may not be enough for them. Volume lashes will give them the look of having a full set of lashes. For the divas that crave even more volume, we also offer the up and coming trend Mega Volume lash sets. We build mega dimensional volume by adding 7-16 onto their lashes with extremely delicate superfine super lightweight lashes. 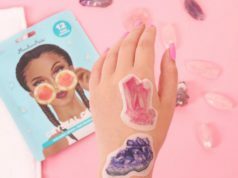 MyTopFace: What made you want to get into the beauty industry? Helen: It’s like being in the jewelry/bridal business (which I was for 10 years) …it’s a feel-good make people happy industry. If you can make someone happy, why not? They feel great and you feel great. It’s such a positive rewarding thing to do. 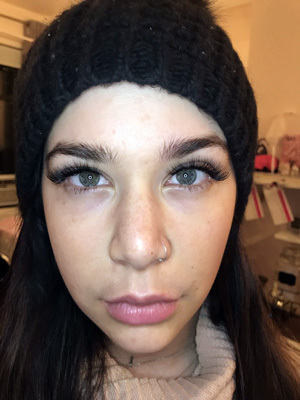 MyTopFace: Can you give us some tips for caring for our lashes? What makes them last the longest? Helen: People always think keeping your lashes dry means not cleaning them. No no no. We always tell our clients, let keep those lashes dry & clean. Sleep on your back, it’s healthier for you anyway. Oil-free products. Oils & adhesives are not friends. The longer you take care of them, the longer the retention will be. MyTopFace: What is most rewarding about your job? Helen: The smiles on our clients when waking up from their lash nap and look in the mirror. The squeals and awwws when they see how beautifully their eyes are enhanced. It’s like they’re falling in love with themselves all over again. Truly the best feeling ever. MyTopFace: Any fun beauty tips you want to share with our readers? 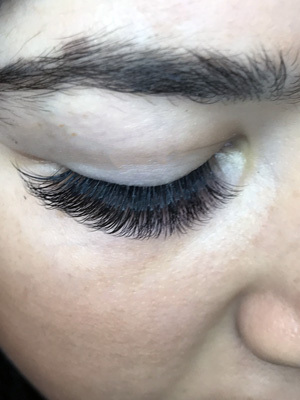 Helen: My little secret…as time passes, your extensions will slightly fall as the adhesive is not as strong anymore…to give my lashes oompf and life again, I use a blow dryer on a cool setting and blow them upwards. Instant lift again! (think of it as blowing your hair to give it volume). We had a wonderful outcome and loved our fresh set of volume lashes! 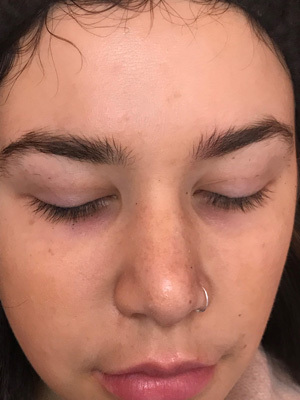 After Helen took the time to show us the difference in Silk, Mink, and Cashmere lashes we opted to do Russian Volume in 3/4D which is Mink/silk blend, used a C curl 11-14 length, the style we chose was the Kardashian look. After a peaceful two hours that we barely noticed went by, we had a fresh new set of lashes! Soothing music plays in the salon so that it is easy to close your eyes and relax while they give you those perfect lashes! The technician we worked with was fast and gentle making for an extremely easy process. In the end, our eyelashes look great, are incredibly light and we continue to forget that they are there! That is the true sign of a great application! It was also clear after spending time there are that very loyal following and their clients truly love them and we can see why. Each person who walked and had an update on their lives to tell Helen, as if they were old friends catching up after a bit of time has passed! So, if you’re looking for a great set of lashes and a positive environment stop by Dazzling Lash Bar and see Helen!